Two. I'm obsessed with the custom watercolor painting created by Black Crow Studios for this beautiful office space designed by Abbe Fenimore. Five. This DIY project "Faking Photo Canvases" is one I'd love to try! 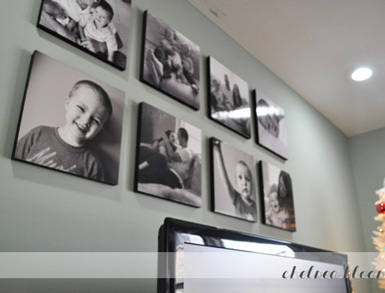 Blogger Chelsea created this entire wall of "canvases" for around $40. Go here for details. I can't believe it's March either! February just flew by. The first image is just lovely. The flowers and colors have me dreaming of spring! Love this week's 5 and that picture of Luke is adorable! Happy Weekend! What amazing pics... the table wood décor is simply lovely and perfect... and I'm also loving the chevron on the stairs! Oh my! Love it all! And I just love your Blog and work. 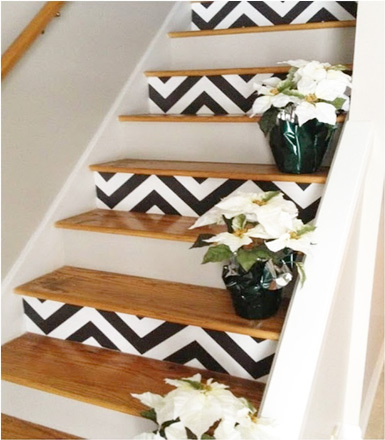 The chevron staircase - love! That is a great idea. 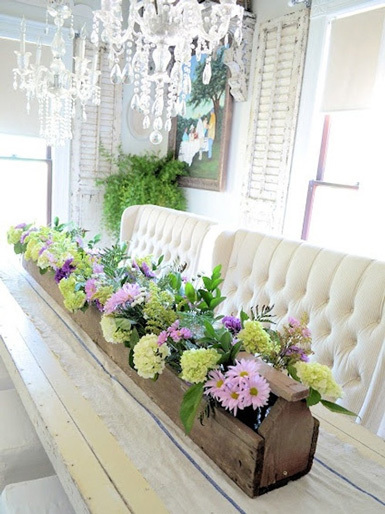 I also love the 4 tufted benches in the dining room...I think I may copy this idea for my dining room that I am currently working on. I love all these pics! What great finds:) That office is amazing and I've never thought of that idea for staircases, such a good one! 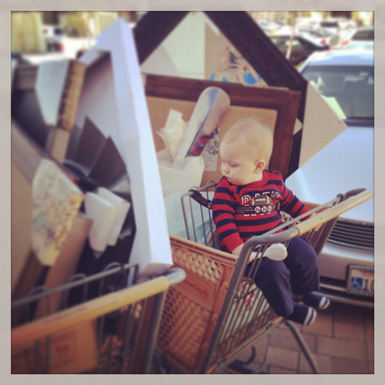 Cute baby, pretty pics -- especially love those first two. I am SO ready for spring!